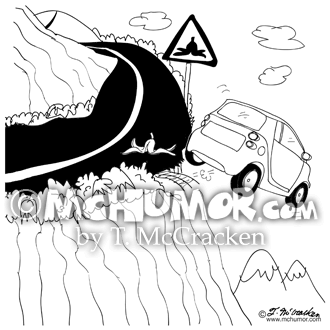 Driving Cartoon 9305: A car slips on a banana peal and drives off a road right after a warning sign with a banana peal on it. 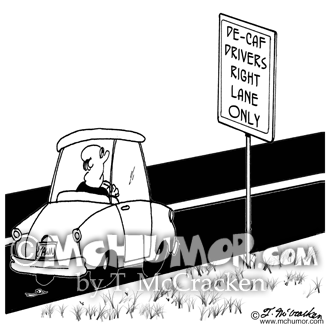 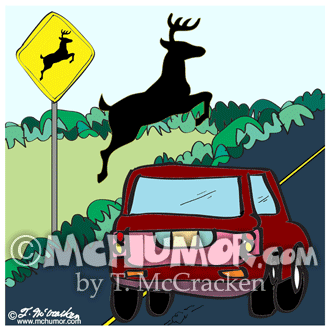 Coffee Cartoon 4855: Road sign, "De-Caf Drivers Right Lane Only." 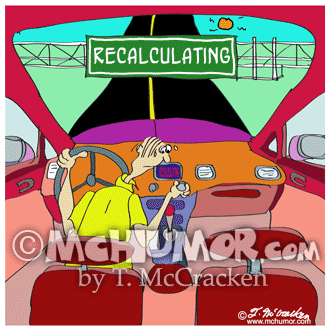 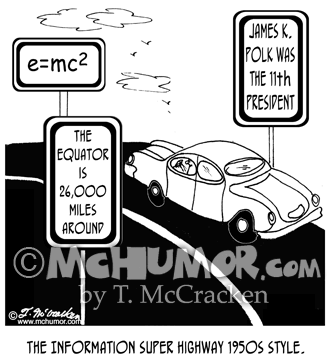 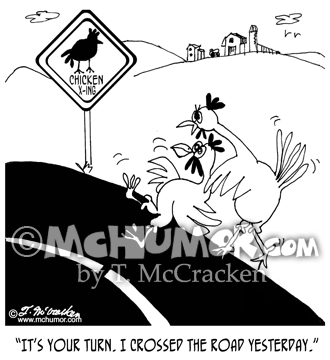 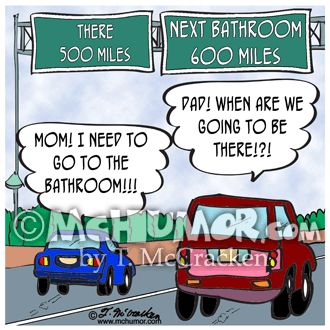 Auto Cartoon 8789: A highway road sign says, "Recalculating." 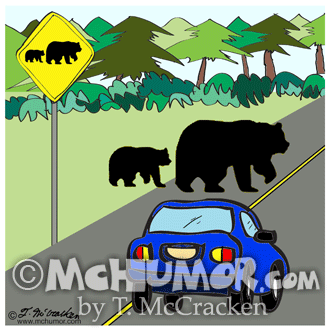 Bear Cartoon 8893: At a bear crossing sign a silhouette of a bear and cub cross the road in front of a car. 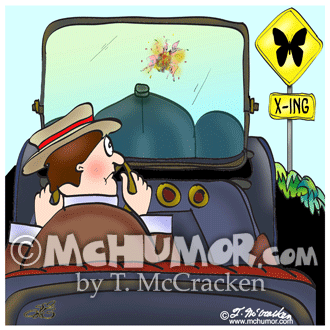 Butterfly Cartoon 8891: A butterfly splats on a windshield in a "Butterfly Crossing." 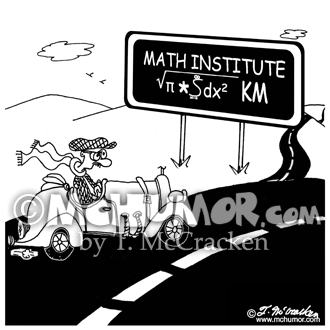 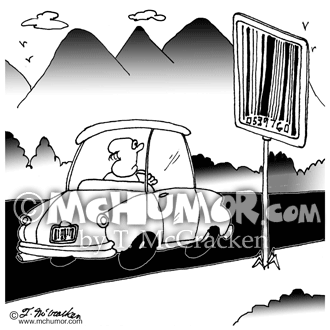 Math Cartoon 5860: A road sign outside The Math Institute says, "√π*962.9 KM"
Barcode Cartoon 6615: A perplexed driver looking at a road-sign that is a barcode.